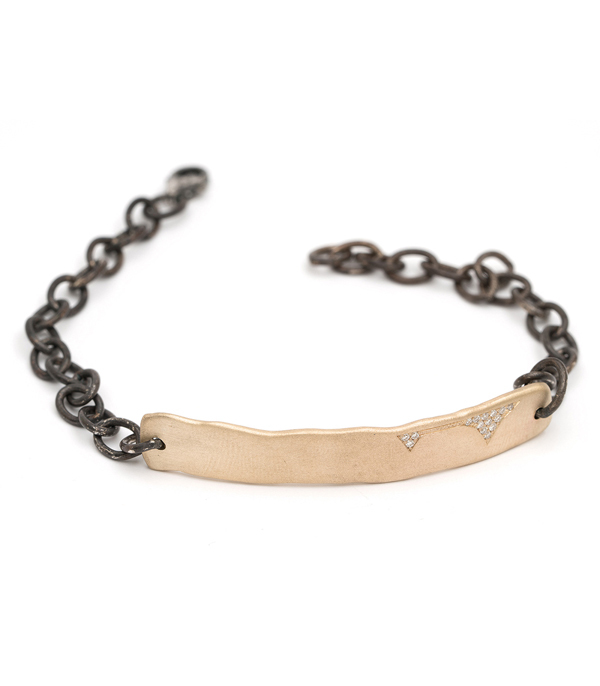 This 7mm torn paper edge 14K matte gold and diamond bracelet defines subtle luxury. 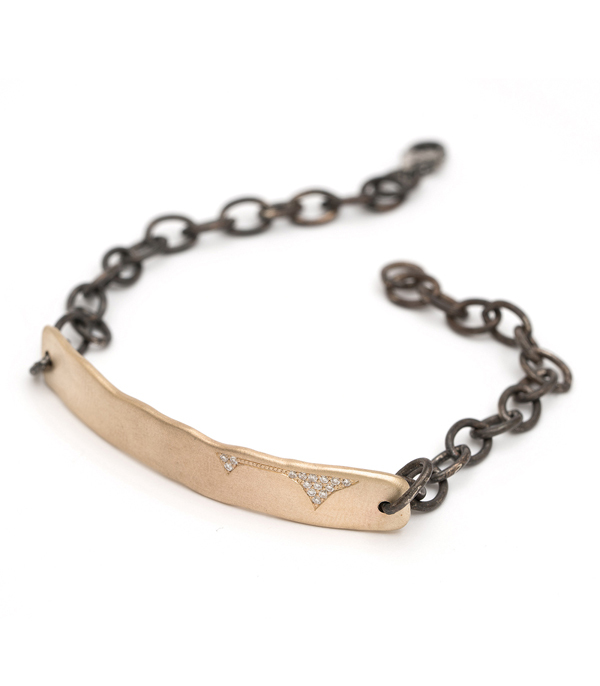 A softly textured gold bar is pave set with diamonds in our signature cracked pattern and casually mixed into a blackened silver chain. Simply stunning!